What do you buy the person who has everything? At Senturion Key, we create unique and luxurious wristwear that syncs with your supercar and acts as its key. 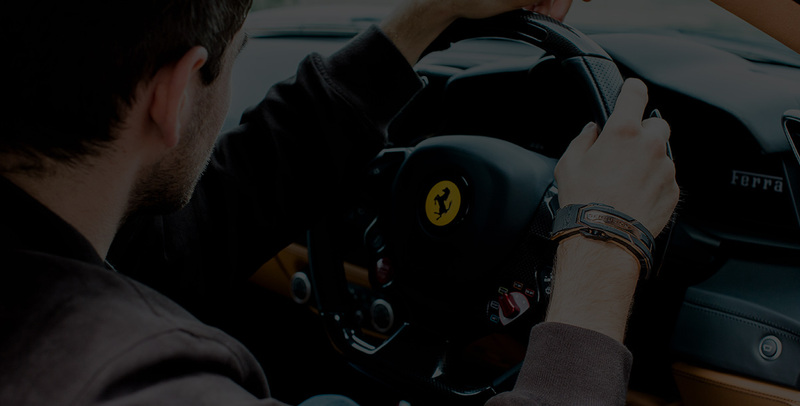 The ultimate statement in luxury lifestyle, Senturion wristwear is also highly functional and uses the latest radio-frequency identification (RFID) technology to become your beautiful new Ferrari car key. You can become part of an exclusive club within the worldwide community of Ferrari owners by wearing your supercar on your wrist. These limited edition pieces are true collector’s items, with only a handful of Senturion Keys made in each style. We use precious metals, the finest leather and four-billion-year-old meteorite to handcraft our range. That includes the solid platinum and ceramic Spectre, the ruby and rose gold Aeron, and the black diamond and black gold Azure. Browse our exclusive collections and become one-in-a-billion by replacing your Ferrari car key with the ultimate collector’s piece.